I have a hard time writing about happy things. It seems it’s easier to harp on pain and sadness, than happiness and good times. But I should work on that. I love to laugh. I love finding humor in everything–even the most tragic things. It’s funny when I can’t remember things because I have short term memory issues, and it ends up being hilarious that I don’t know all the names of the Beatles. 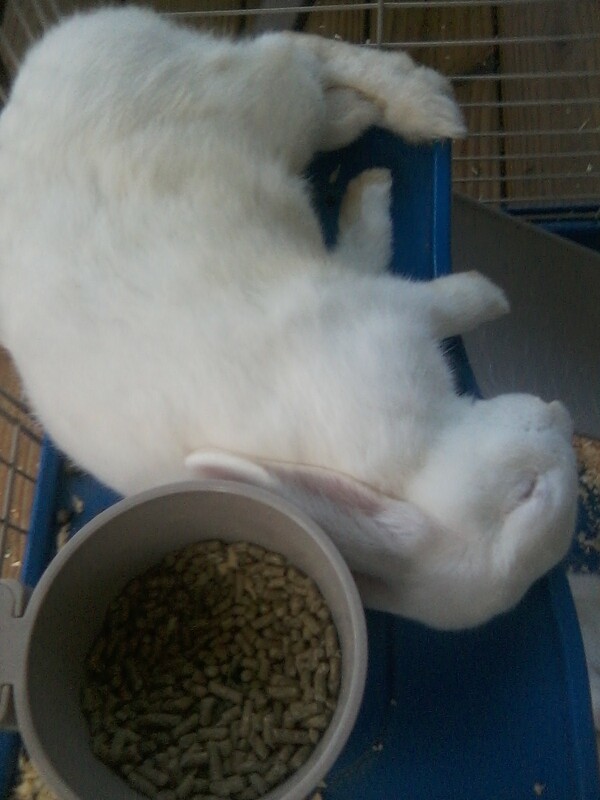 It’s funny when my pet rabbit Neville becomes Thumper. Bambi makes so much more sense now. I guess Disney did their research. It’s adorable when a bunny yawns or licks my hand or does all manner of really adorable things. So, for these positive things I am thankful. I am thankful for life. For my family. For my friends. I am thankful that I can write. I think if I stopped writing, I just might stop breathing. That’s mostly poetic, but it motivates me to get my thoughts out there even if no one ever reads what I write. I am thankful for laughter. It’s the music of the soul. Well said. I need to remind myself constantly not to take life so seriously. Laughter is good medicine, a great gift from God. I sometimes wonder if he laughs at things I do.